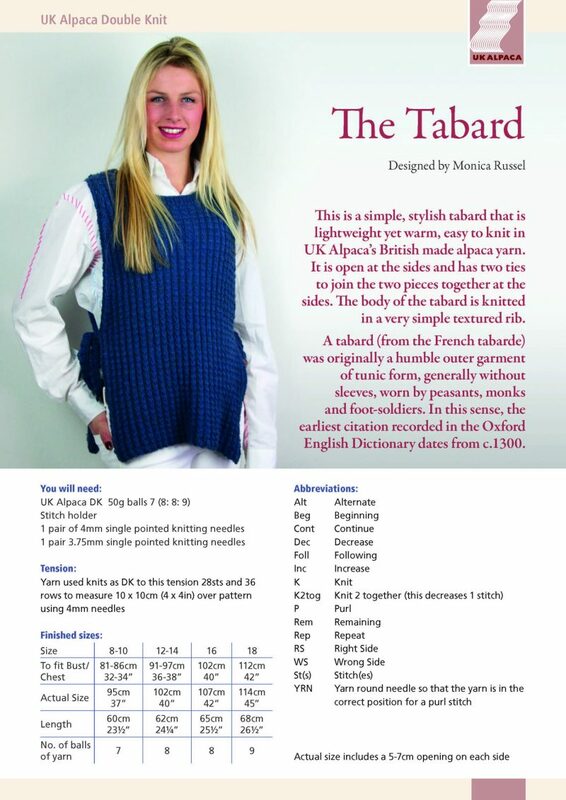 This is a simple stylish tabard that is lightweight yet warm and easy to knit. It is open at the sides and has two ties to close if required. 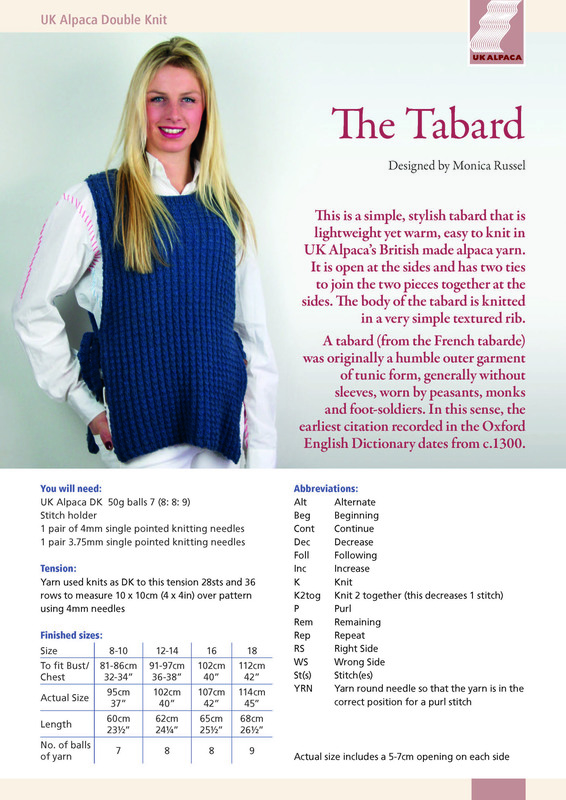 The body of the tabard is knitted in a very simple textured rib.